This book will show you how to release the inner joy and romance of your relationship. You can return to love as it was when you first met: experiencing a longing for each other, being interested in each other's thoughts, feelings and activities, and experiencing mutual sexual desire. In other words, really sharing life together! It might sound utopian, but with the right insights and tools it becomes surprisingly easy. In her fifth book, author and psychologist Ingeborg Bosch shows you how this can be done. She takes the reader by the hand, and in an Incisive, concrete, and recognizable manner explains how to get back to the love you once shared. This inspiring book, with many appealing and recognizable examples, is also a do-it-together book. 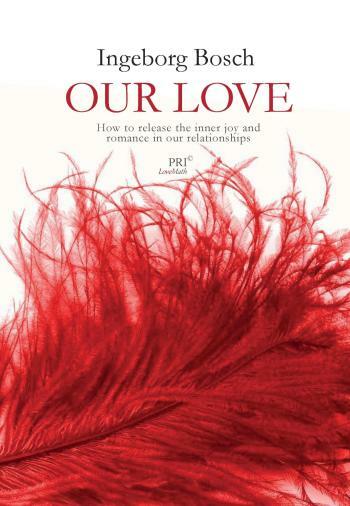 The model developed by Ingeborg Bosch will give you clear insight into the basic building blocks of a loving relationship, why they are so often lost, and how to reconstruct them. This book is a wonderful gift to the world. It is written with so much love and good will. It goes through all barriers of fear and gives a lot of hope and trust in Our LOVE. Kay Pollak, Swedish film director - As it is in Heaven. Ingeborg Bosch developed the very successful therapy Past Reality Integration, one of the fastest growing drug-free therapies in Europe. Her other books available in English are Rediscovering the True Self (2002), Illusions (2016, English ed)) and Past Reality Integration, 3 Steps to mastering the Art of conscious Living (2012).